Disney World Park hours are released approximately 180 days in advance. Disney World changes park hours often. We will do our best to keep our calendars up to date, so please check back often. Report all discrepancies to [email protected]. What is Rope Drop at Disney? Walt Disney World guests who consider themselves early risers might want to take advantage of what's commonly known as "rope drop" at the theme parks. Rope drop is more of a term describing the official park opening as there is not typically an actual rope involved. Often times, there are much fewer guests in the parks early in the morning compared to what you'll find during the day. A lot of folks like to get up early and take advantage of the lower wait times that could be available depending on how many people enter a particular park on any given day. 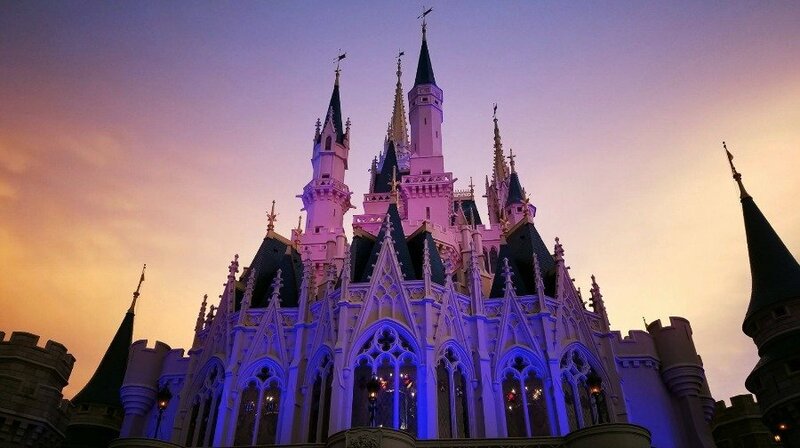 As popular as it is to arrive early, we find that more folks like to sleep in on their Disney vacations, especially if they were out until the wee hours the night before. Arrive at your theme park of choice approximately half an hour before the park is set to open that day. Each of the four main theme parks do something different at rope drop. Some do a little show, some do an opening performance, some don't do anything at all, but everything is subject to change at any time, so the surprise element is there too. Have a good idea of where you want to go and which attractions you want to ride right away. It's a good idea to take advantage of booking some FastPass+ ahead of time, but also to allow time to utilize the shorter lines in the earlier hours of the morning. As the years go by and visiting the Walt Disney World Resort becomes an increasingly popular vacation destination, it became apparent to the powers that be that the regular theme park hours just weren't enough and guests wanted more despite Extra Magic Hours that are available to those staying at a Walt Disney World Resort hotel. Even though Extra Magic Hours were only made available to a select number of guests, crowds during those timeframes were still a huge concern. In fact, many folks recommended skipping them altogether due to how crowded they can become. With such a high demand for even more time in the parks and pleas from visitors to reduce the park's capacity in order to thin out the herd, something had to be done. Thus the introduction of Disney Early Morning Magic and Disney After Hours. Both are separately-ticketed events that take place either before the park opens for the day or after it closes and on opposite mornings/evenings from the regularly scheduled Extra Magic Hours. Read more about these special events below. On select mornings, Magic Kingdom Park and Disney's Hollywood Studios offer Early Morning Magic events that give guests access to specific attractions and breakfast prior to the time that park opens to the general public. 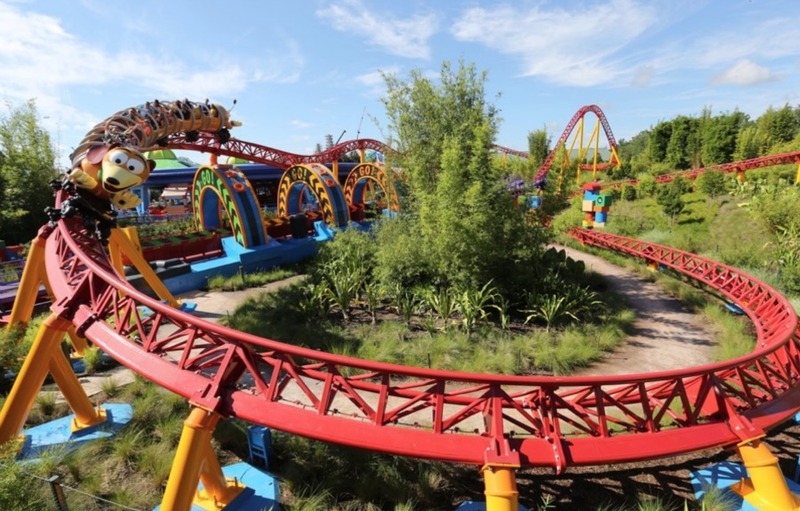 The events are currently taking place inside Fantasyland at Magic Kingdom and inside Toy Story Land at Disney's Hollywood Studios. There is an additional charge for each one of these special events. Regular theme park admission is also required. Disney After Hours gives a limited number of guests access to dozens of unforgettable experiences in Magic Kingdom, Disney's Hollywood Studios, and Animal Kingdom such as character greetings and little to no wait at many popular attractions and experiences including many fan favorites. Popcorn, ice cream novelties, and select bottled beverages are also included with the cost of admission. IllumiNations: Reflections of Earth - Ends Summer 2019! Epcot Forever - Begins Fall 2019! A Celebration of Disney Music - Begins in 2020! 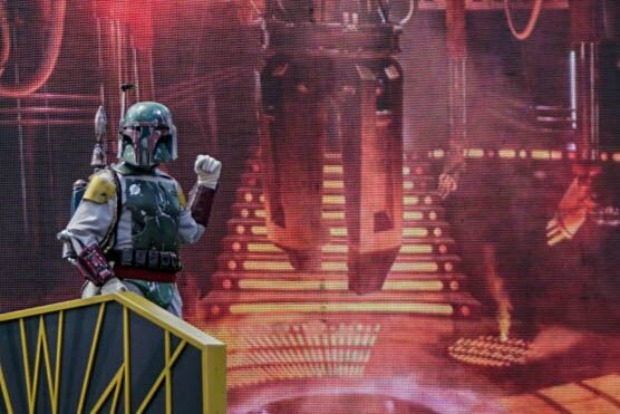 Star Wars: A Galactic Spectacular - Ends March 31, 2019! Wonderful World of Animation - Begins May 1, 2019! 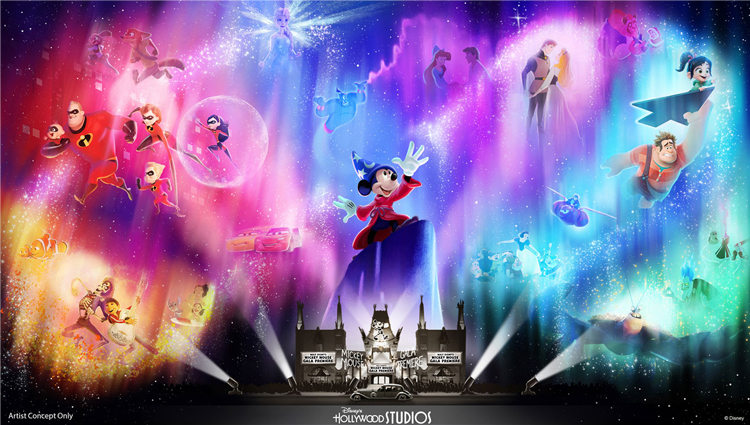 This new spectacular promises to take the audience on a musical journey in search of their very own Happily Ever After “by showcasing some of the greatest adventures Disney characters have taken to achieve their dreams. The show will feature the latest fireworks and pyrotechnics and original animation, plus a heart-tugging original score. And thanks to the inclusion of state-of-the-art projection mapping technology, more Disney characters than ever before will be featured in the show, including moments from Moana, Brave, Big Hero 6, Zootopia, The Princess & The Frog, Aladdin and many others." Book a boat to take you out on Bay Lake for a private fireworks viewing! As part of Mickey & Minnie's Surprise Celebration, this high-energy parade heads down Main Street towards Cinderella Castle several times a day. Mickey, Minnie, Donald, and Goofy will host the party plus several other characters will join in the fun as well. It involves guest participation and includes catchy tunes, stilt walkers, and much more. Photos from the street party that are posted to Twitter and Instagram with the hashtag #MoveItShakeItPics may be used in the finale. Formerly known as the Move It, Shake It, Dance & Play It! Street Party. 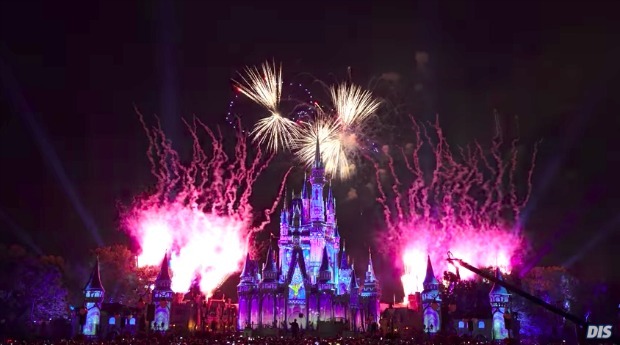 This show replaces the "Celebrate the Magic" castle projection show. “Once Upon a Time” is hosted by Mrs. Potts from Beauty and the Beast, as she tells bedtime stories to Chip and takes guest on scenes from Disney favorites Cinderella, Peter Pan, Alice in Wonderland, and The Many Adventures of Winnie the Pooh. Highlights from the show, include a flight over London with Peter Pan, Alice’s tea party with the Mad Hatter and a fight between Gaston and Beast, plus a finale featuring even more Disney characters. Enjoy a special fireworks viewing area along with sweet treats, specialty beverages, and prime seating along World Showcase Lagoon—with a magnificent view of IllumiNations: Reflections of Earth, the nighttime fireworks spectacular at Epcot. The party will be held on select evenings through February 2018. After IllumiNations, guests will be escorted to the Norway Pavilion to experience the popular attraction Frozen Ever After—a musical boat ride adventure through the wintery world of Arendelle. 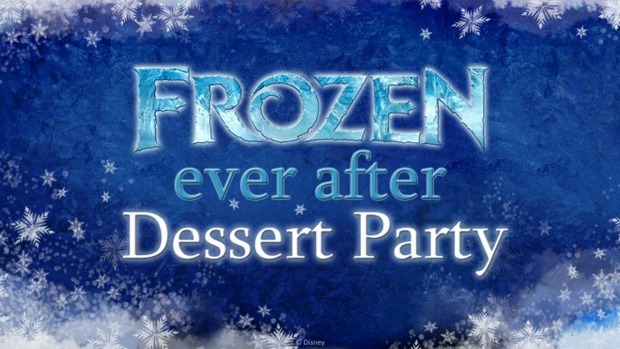 Tickets for the party are $79 per adult (ages 10 and up) and $47 per child (ages 3 to 9), including tax and gratuity. Admission to Epcot is required and not included in the price of the party. Reservations can be made up to 180 days in advance online or by calling (407) WDW-DINE. IllumiNations: Reflections of Earth was the recipient of Amusement Today's 2006 Golden Ticket Award in recognition of being the top evening show in an American theme park. NOTE: IllumiNations: Reflections of Earth will end its run with its final presentation on September 30, 2019 then it will be replaced with a brand new limited-time spectacular called ‘Epcot Forever.’ The new show begins October 1, 2019, will feature classic Epcot tunes, and opens with a spark of imagination that grows into an epic spectacle of fireworks, music, lighting, lasers, and special effects kites. Watch the video below to see what's in store! A nighttime spectacular where thunderous fireworks and lasers fill the skies above World Showcase Lagoon. Video images are displayed across a giant sphere in the middle of the lagoon that tell the Earth's incredible tale. The sphere then blossoms like a flower, exposing a ball of fire and leads to the shows finale. Fun Facts - 1,105 firework shells are fired during each show. There are 19 torches located around the World Showcase Lagoon. The inferno barge weighs 150,000 pounds with 37 nozzles that shoot propane flames upward. For an extremely informative column on the history and details of IllumiNations, click here. Enjoy a prix fixe menu at the Rose & Crown Dining Room, then stay for one of the best views in Epcot! Package includes appetizer, entree, and dessert, plus unlimited alcoholic and non-alcholic beverages. Cost: $85 for adults/$35 for children (3 to 9), including tax and gratuity. Book a boat to take you out on World Showcase Lagoon for a private fireworks viewing! Disney Movie Magic showcases dozens of memorable movie moments, from Disney classics such as Mary Poppins to contemporary blockbusters such as Pirates of the Caribbean and the Indiana Jones adventures. Disney Movie Magic is a 10-minute presentation that takes place each night at Disney’s Hollywood Studios, in addition to regular performances of Star Wars: A Galactic Spectacular. If you want to save yourself the pain of waiting in line, check out the Fantasmic Dining packages. 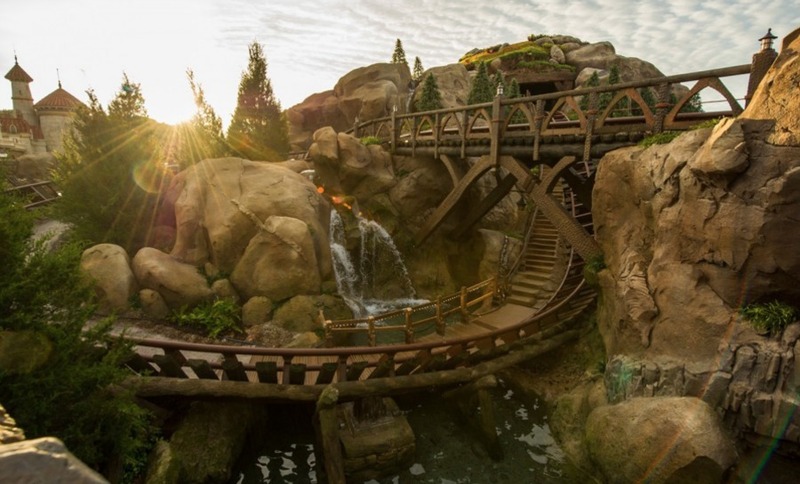 - The moat surrounding the show contains approximately 1.9 million gallons of water. - The mountain stands approximately 57.5 feet above the water. - The fire-breathing dragon rises 50 feet into the air and has a wing span of 50 feet. The Fantasmic! Dessert & VIP Viewing Experience package will provide guests with a snack box that includes a variety of sweet and savory treats such as chocolate-covered strawberries, cheesecake, a chocolate cupcake, apple crisp, California trail mix, and cheese and crackers. Kids will enjoy chocolate pudding with crushed chocolate cookies and gummy worms, confetti popcorn, grapes, and a vanilla cake bite starring Sorcerer Mickey. Also included is a bottle of water and a specialty alcoholic or non-alcoholic beverage in a light-up, keepsake Fantasmic! cup. At check-in, guests will receive a special light-up credential which will allow them to enter the special reserved viewing area for the show. The cost for this new experience is $39 for adults and $19 for children ages 3-9. Reservations can be made now by visiting DisneyWorld.com/dining or by calling (407) WDW-DINE. Watch as Rey, Kylo Ren, Chewbacca, BB-8, Darth Maul, and more of your favorite characters from the Star Wars saga recreate iconic moments from the film right before your eyes! 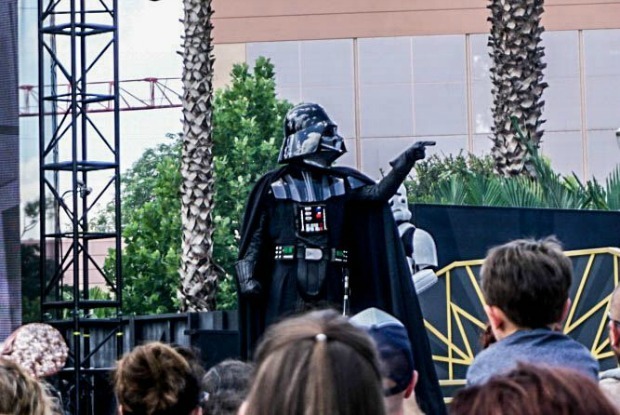 Be sure to watch for movie scenes featuring old favorites like Darth Vader and some new faces from recently released Star Wars movies! This stage show runs multiple times daily; pick up a Times Guide to check exact times during your visit to Disney's Hollywood Studios. A brand new nighttime spectacular is coming to Disney's Hollywood Studios in celebration of the park's 30th Anniversary! The show is called 'Wonderful World of Animation' and will showcase the 90-year history of Disney animation starting with Mickey Mouse. This all-new spectacular is set to begin on May 1, 2019. This nightly "parade" was first performed on October 26, 1971 during the dedication of the Polynesian Luau. While old-fashioned by today's standards, it's still fun to head to the resort beachfronts to watch it go by. The water pageant can be seen from the boat-loading are at the Magic Kingdom, as well as all each resort around Bay Lake. It normally starts at 9:00 each night, but check the Times Guide to be sure. There are two segments, one is a King Neptune theme, the other a salute to America.